The plugin will collect, save and segment contact data automatically in your account. Now you can quickly and conveniently collect contacts from a website or a blog and immediately create effective campaigns in your UniSender account. How do you install the UniSender plugin? Step 1. 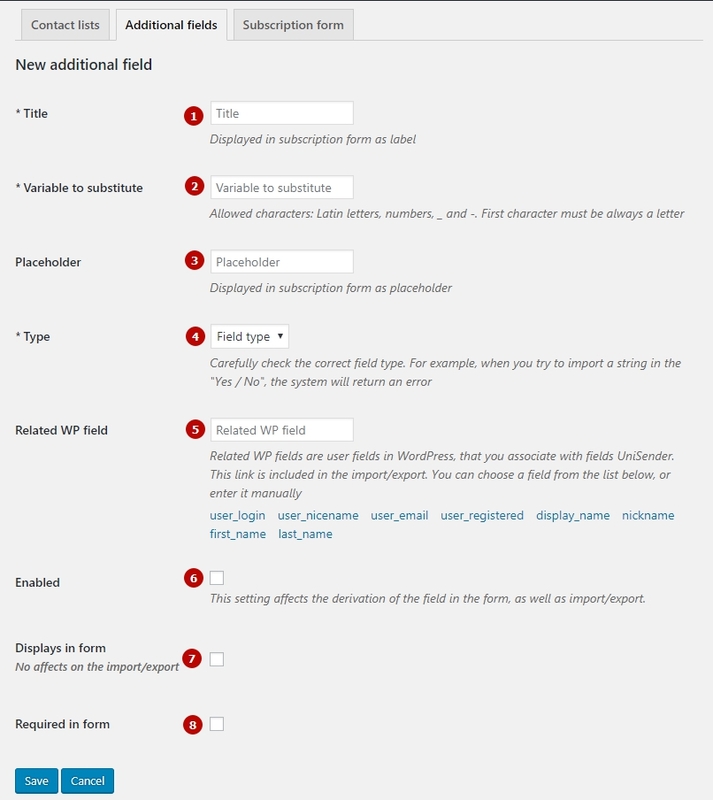 Go to the WordPress admin panel and then go to the plugin management page. Step 2. Click the «Add New» button. In the search bar, enter «UniSender” and select «UniSender Integration». Click the «Install» button. Step 1. Download the plugin archive from the official page. Step 2. 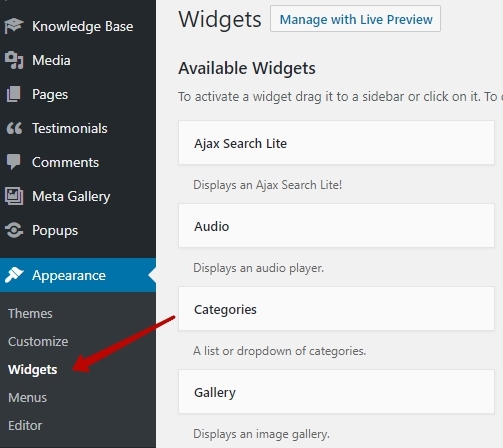 In the WordPress admin panel, go to the «Manage Plugins» page and click «Add New». Step 3. 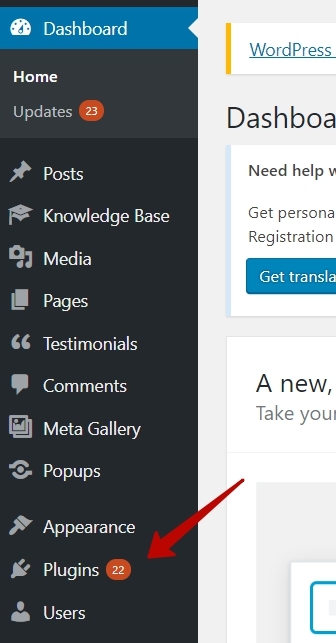 Click the «Download Plugin» button. In the window that appears, attach the archive, install it and activate it. 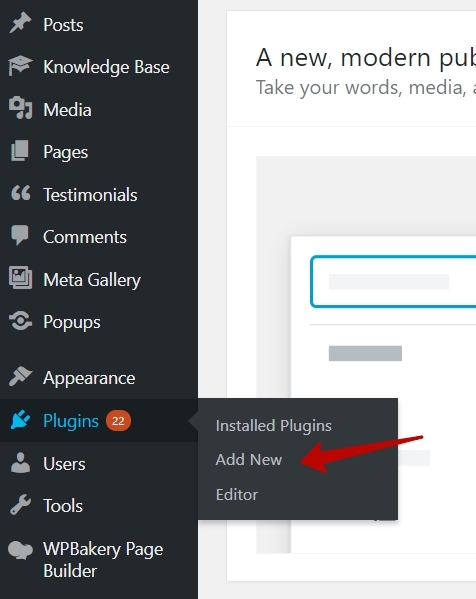 How do you update the plugin? 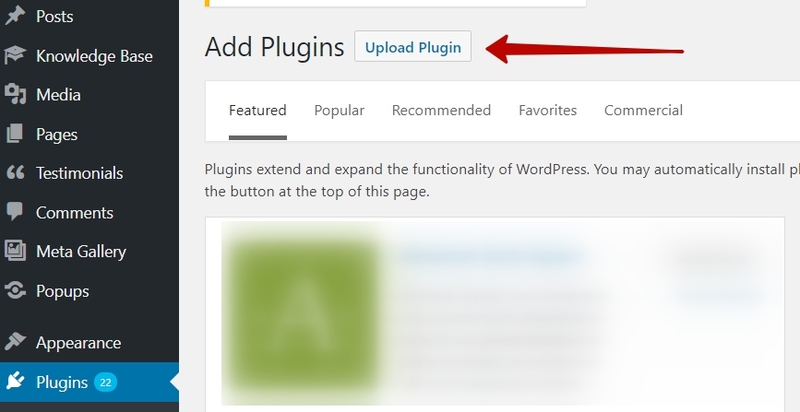 After the appearance of a new version of the plugin, you will receive a notification in the WordPress admin panel. By clicking it and following the standard installation instructions, you can easily get a new version of the product. 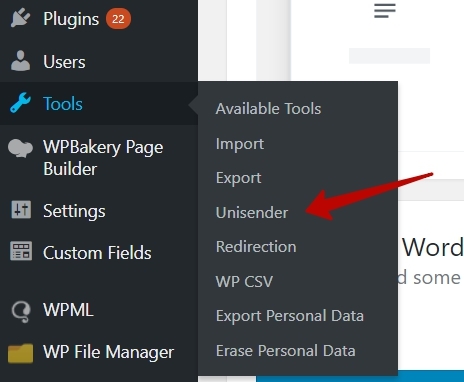 When you install the UniSender plugin for WordPress, all your contact information will be saved in a separate list in your UniSender personal account. And then you can launch an email- and/or SMS-campaign, increase your customer loyalty and get high conversion rates! The developed plugin was tested in WordPress in the old 2.x and 3.x versions, as well as on the new version up to 4.9.2. Step 1. Go to «Tools» — «UniSender». Step 2. Sign in to UniSender or enter your login and API key. IMPORTANT: the login field is case sensitive, enter the login exactly as you registered it. You will have three tabs. Step 4. Select additional fields. You need to change the fields you want to transfer to UniSender. To do this, point to the field and click «Edit». 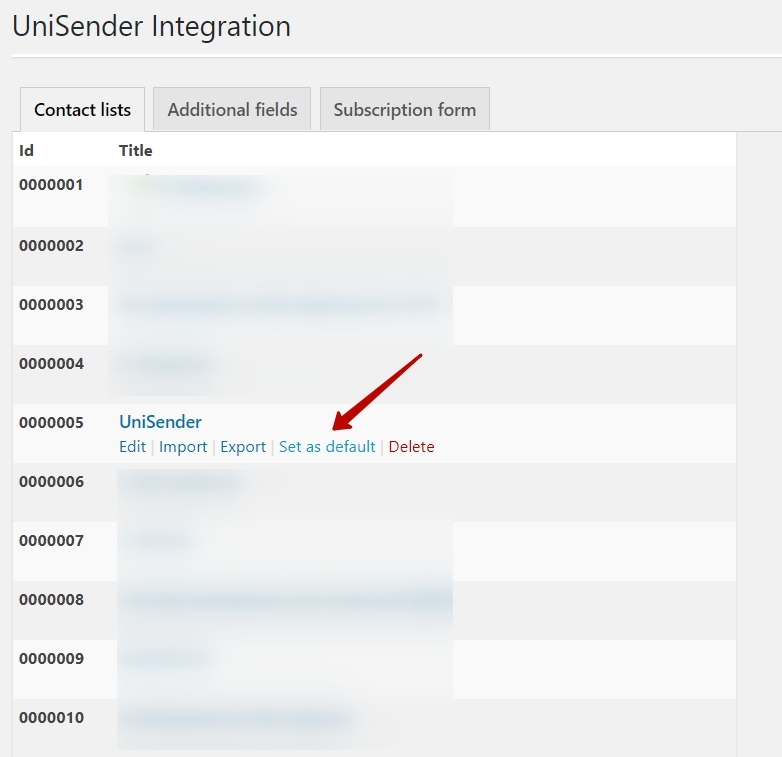 Name (1), Variable for substitution (2), Type (3) fields are set up in UniSender and will be filled in. 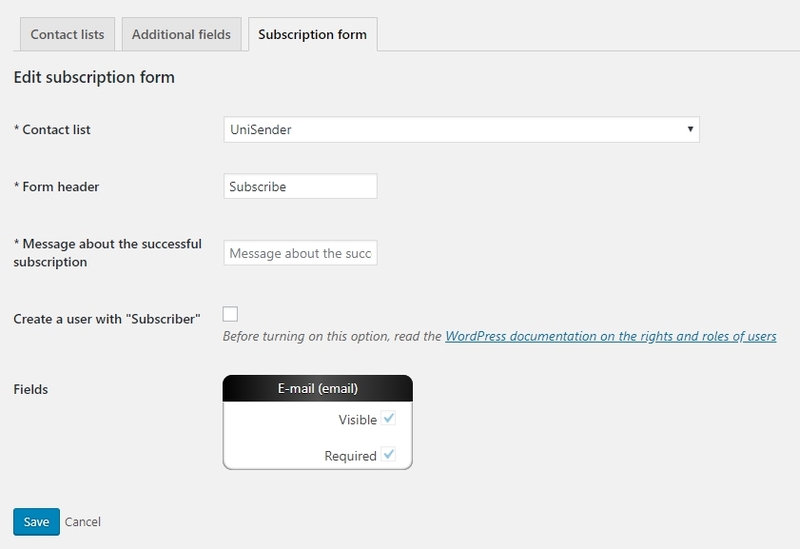 If you plan not only to sign in but to also create a WordPress user, then use the linked fields (5). For example, in our case in the screenshot, you need to click first_name. This will link the Name field that the person will fill in on the form and the username field. To make the field appear in the form, hold On (6) and Displayed in the form (7). Step 5. Set up the form. Step 6. Add the form to the site. Go to «Appearance» — «Widgets», find the «UniSender Subscription Form» widget in the list of available ones and add it by dragging.